Aloha! As you may well know, I went on a mammoth Lime Crime haul last week. They had a crazy bundle offer on the relative new Perlees, so I thought it'd just be plain rude of me not to. 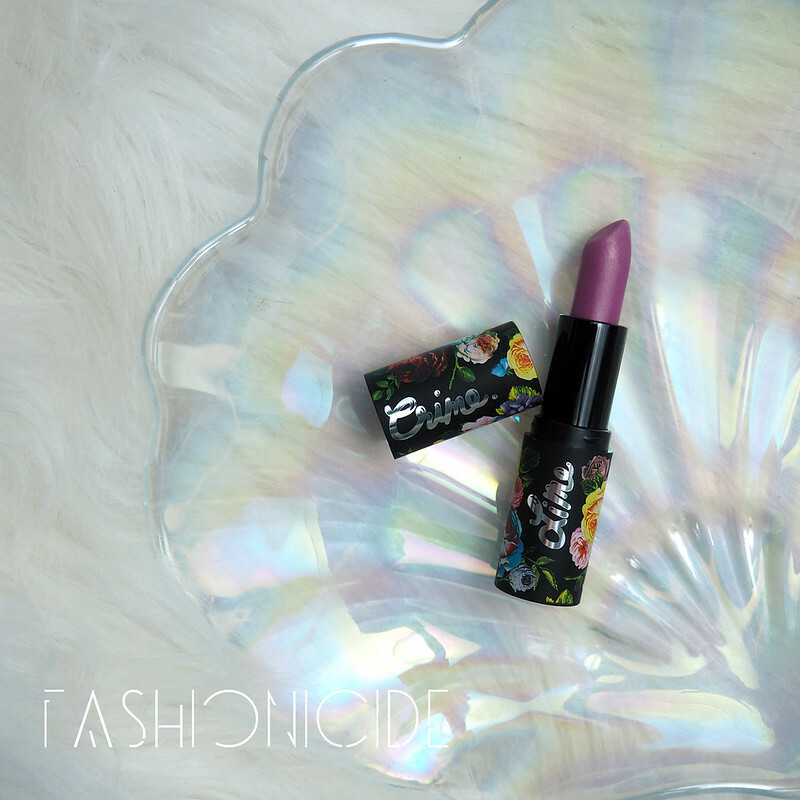 The Perlees are bullet lipsticks with a finish described as a 'Matte Pearl' by Lime Crime. Obviously this intrigued me, and at a massively reduced price, I thought 'why not?' A couple (and then some) went in to the basket, along with numerous Velvetines. The order went in direct to their US website on the Sunday, and arrived here in the UK on the Thursday - unreal! And actually, quicker than a couple of UK based retailers I'd ordered other things from. For today's look, I've plumped for the shade 'Mirage'. Their own promotional material classes it as a 'Mauve Pink', but on me it looked more Mauve than Pink, which was a little disappointing. As for the application, it glides on to the lips with zero drag. The colour is opaque, and not as sheer as I expected it might. The colour is very rich with a beautiful finish. The metallic sheen really shows through, and even looks pearlescent in certain lights. I couldn't quite capture that on camera though. DOUBLE GROAN. 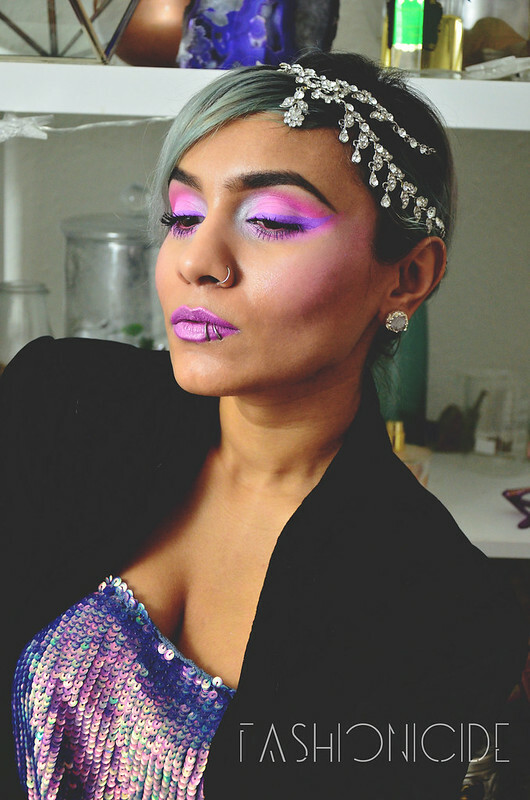 But Lime Crime's description is correct - it certainly leaves that 'Matte Pearl' finish. The actual wear of the lipstick is pretty good, it feels comfortable on the lips which is quite rare for something so long lasting, and it even holds up well if you're eating or drinking. Re-application wasn't needed at all, but y'know - old habits die hard, and I did it anyway! 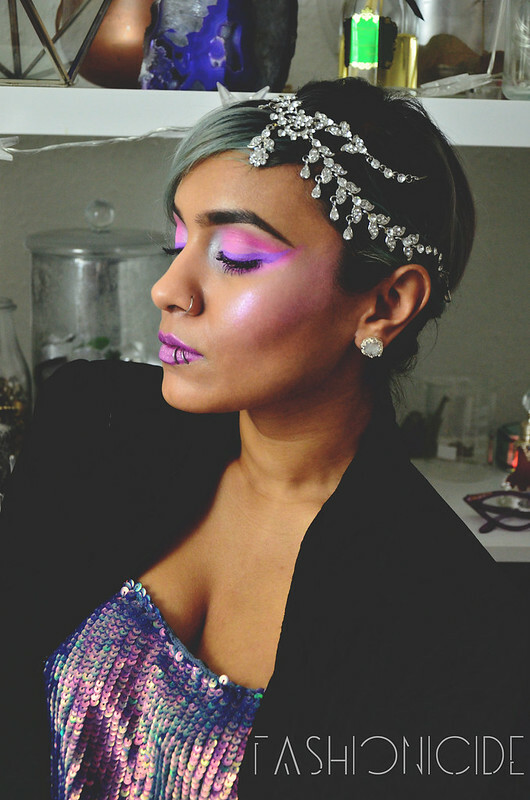 Of course, the eye makeup has to get a sneaky little mention too! I went for a Super Kawaii look - I'm just super excited about my forthcoming trip to Japan, and what better way to get into the spirit of things than by applying some cutesy makeup? 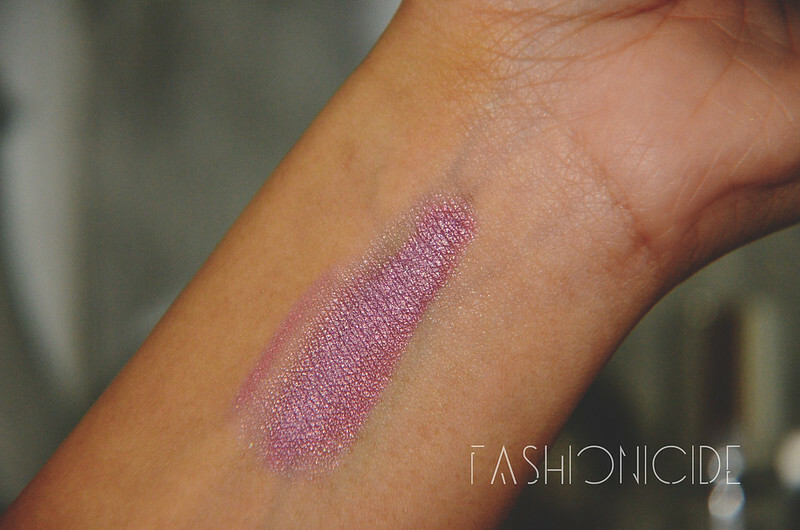 The only downside really, is I planned a nice pinky makeup look to combine well with the pinky-mauve lips of Mirage. If only it was slightly more pinkish, it would have just topped it all off perfectly. Either way, I applied a baby pink eyeshadow from the D'Antoinette palette from Lime Crime, all over the lid and under the lash line. Sadly, this was discontinued, but I don't know why, look how beautiful it is! Added 'Dollipop' pressed eyeshadow by Sugarpill into the crease and to complete the look, I used Jeffree Star's 'Blow Pony' Velour Liquid Lipstick as my eyeliner and winged it out goooooood. As you may see in the image above, I applied a bit of NYX's Color Mascara in Blue to the lashes, but unfortunately it didn't appear quite so bright on me - you can barely make it out, but I will figure out a way to make it work better next time. So there you have it, Liquid Lipstick as eyeliner, and as you can see it turned out really well. Overall though, I'm disappointed with Mirage. The promotional shots made it appear much lighter than it actually is. Don't write off Lime Crime or their Perlees range solely on that basis though. I've also tried 'Lady' from the range, and that really is true to the promo material. Also, the actual formula of the Perlees is close to perfect. It lasts, it feels good, and it looks amazing - even if Mirage isn't quite as pink as I'd have liked it to be. The Lime Crime Perlees come in 7 shades and you can purchase them in a bundle for around £68 - LINK! I will be posting on all of the Perlees over the next week or so, so keep your eyes peeled! You're so brave, I adore those bright shades! Your make up is always spot on and very detailed! Gorgeous bright shades! You are so lucky to be able to pull off shades like this! Ah wow! That lipstick shade is amazing! Looks great on you! 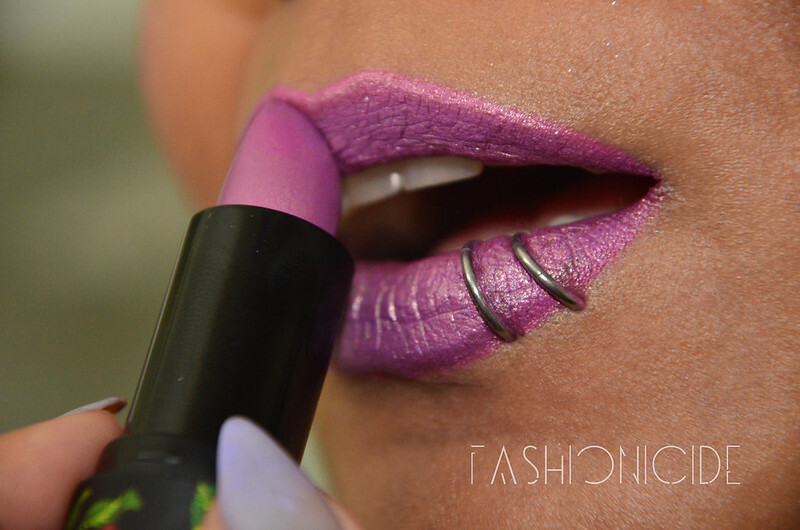 I am a big fan of limecrime makeup and I have been tempted to try these lipsticks!